We conduct as many as twelve preacher training revivals a year in various locations around the island of Mindanao. We typically plant between fifteen and twenty churches per year. We have seen great success with youth revivals and inter-church youth fellowships. 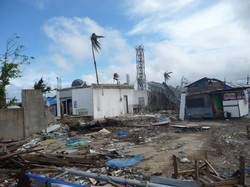 Recently, Typhoon Bopha wreaked havoc on the island of Mindanao. Through the support network of growing churches and the ministry of IDES, we were able to distribute an additional $30,000 worth of aid to affected areas. AFC operates a medical clinic based in one of the largest hospitals in Davao City. Medical Evangelism has proven to be an excellent outreach, both to the sick and to those treating the sick.